It's time to pity our children and grandchildren. Our Republican leadership is joining President Obama to increase spending by reportedly $70 to $100 billion. Worse, they intend to remove the restraints, which will be an additional $1 trillion debt over the next ten years. Futility is too mild! Our children’s financial and personal futures are being irreparably harmed. A government debt is a government claim against personal income and private property – an unpaid tax bill. For the sake of our children, we need to stop these negotiations. In 2011, Obama and the House and Senate agreed to the spending limits. Keep the limits. There are hundreds of other means to reduce Federal spending; they involve reducing the power of the Federal government and require Congress and the President to work hard to keep a balanced budget. Sadly, alternatives to cut spending are not being considered. Make Congress responsible. Americans are justifiably mad at Congress and the President, and it's time to call your Senators and Members of Congress to stop these negotiations, leave the Budget Control Act in place, and save our children. It's time to save the greatest country from being destroyed by debt. As a lifelong Conservative, my first Presidential vote was for Goldwater, I do not have any answers. 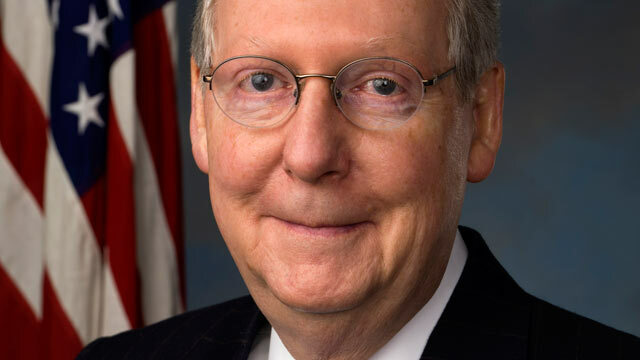 I did NOT vote for McConnell in the last two Primaries or General elections. I'm becoming more and more inclined to agree with those who say its time for another Revolution.